But in the nearly forty years since his death, the pervasive legend of Jack Benny has slowly slipped away. It is ironic that in the Internet age, when we have instant access to almost the entire history of pop culture, there is still a hierarchy when it comes to the shelf life of fame. And it is cinema, rather than television or radio, that seems to mark who gets remembered and who gets gone. For Jack (true fans refer to him only by his first name), peerless in every other medium, film was a problem. At least it was until he met Ernst Lubitsch. Of the many tectonic shifts that occurred when sound came to the movies, few were as sweeping as what happened to film comedy. Overnight, most of the great pantomime clowns found their careers either stalled or wrecked. Instead of people who moved funny, studios were looking for people who talked funny. They found their new stars among those who made their bones working for live audiences, the great comics of vaudeville, burlesque, nightclubs, and Broadway. At the same time, the rise of radio as a mass medium was being felt by Hollywood. By the middle of the thirties, a three-step process for achieving movie-comedy stardom had emerged: become a popular stage comic, get your own radio show and make a success of it, get a movie contract. But it wasn’t that simple for everybody. Jack’s film career seemed for some time to hover between success and failure. By the end of the twenties, he was a very successful stage monologist, and MGM signed him to be the emcee in their all-star early talkie The Hollywood Revue of 1929. If one knows the later Jack Benny, it is intriguing to see the bare bones of what he would become in this film. If not, what you have is a mildly amusing stand-up comic who, like most of the acts in this prehistoric musical, seems a little stiff. After his middling follow-up, Chasing Rainbows, MGM dropped him. In 1932, Jack made his radio debut. His oft-quoted opening line—“This is Jack Benny talking. There will be a short pause while you say ‘Who cares?’”—set the self-deprecating tone for his radio and television work. Although it would take almost a decade for all the elements of the Jack Benny persona to accrete, he was a smash on radio from the beginning. Inevitably, radio success would take Jack, back to the movies, this time at Paramount. In the films he made there between 1935 and 1940, he is more relaxed than he appeared in his early movies, and thoroughly pleasant to watch. What he isn’t is spectacularly funny. At this point, it must have been obvious to the studio that it was Jack’s radio persona that audiences loved, not his attempts at other characters. So his next two films were direct spin-offs of his radio show. In Buck Benny Rides Again and Love Thy Neighbor, Jack Benny played “Jack Benny,” and surrounded himself with cast members from his shows. Yet these films too seem strangely flat. So what was going wrong? Why did such a gifted artist falter on-screen? Anybody who writes about Jack Benny remarks first on his amazing sense of comic timing. No comedian could play a live audience like Jack. He rode the crowd’s reactions like a great surfer rides a wave. But this timing didn’t apply solely to the way he told a joke. Jack was essentially a reactive comedian. His biggest laughs came in the spaces between gags. 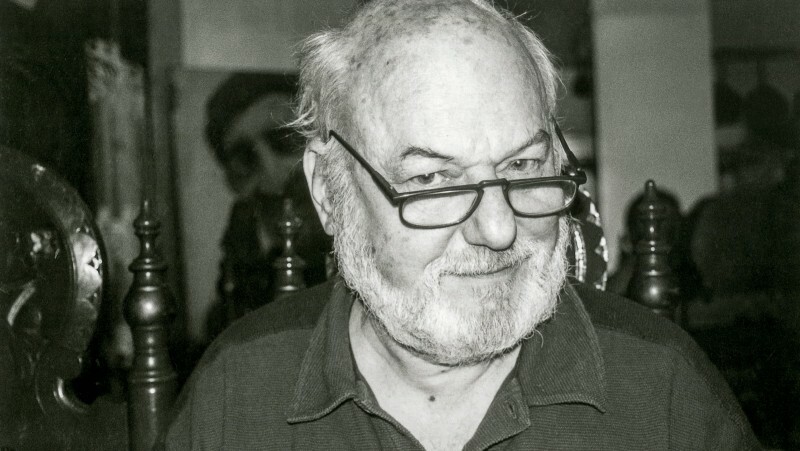 He is credited for giving many of the best lines in his shows to his supporting cast. It’s certainly true that Jack was a generous performer who loved other comedians, especially the regulars on his programs. But Jack also knew that however big the laugh Eddie “Rochester” Anderson or Dennis Day or Don Wilson got on a line, he would top it with one of his classic “takes”—reactions of astonishment, or confusion, or anger, or helpless misery that he could hold until the moment of peak audience response. Only then would he move to the next line. Amazingly, this technique worked just as well in radio as onstage or on television. The pauses Jack took would be filled in by the listeners, who felt like they could hear his mind turning over. You can hear this in one of Jack’s most famous “cheap” gags. He is being held up by a thief, who demands, “Your money or your life!” There is a long pause—the laughs begin. Then we hear “I said, ‘Your money or your life!’” “I’m thinking it over!” snaps Jack. The space between the thief’s first and second lines, and then the way Jack rides directly onto the second line with his comeback, are a master class in timing. The movies have never been particularly easy on comedians who take their time. The traditional way of directing and editing film comedy is to cut from the end of one joke, as quickly as possible, to the beginning of the next. 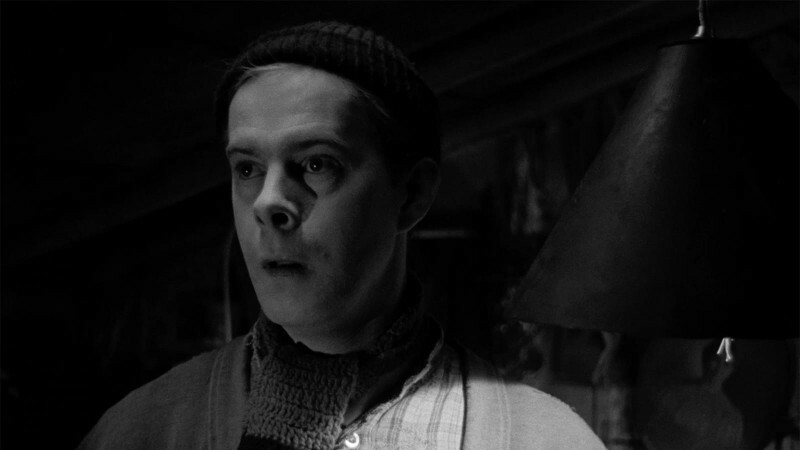 While it’s true that Jack was hampered on film by not having an audience to play off of, it’s also true that the filmmakers he worked with seemed to have little sense of how he worked. You could scour the films he made in the thirties without finding one funny pause or one perfect reaction shot. Jack Benny on film was no longer controlling the essence of his comedy. That was in the hands of directors and editors. Of course, there were some great directors who had a true and deep understanding of comedy in all its forms. Enter Ernst Lubitsch. 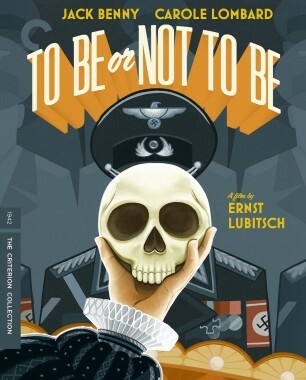 Edwin Justus Mayer wrote his brilliant screenplay for Lubitsch’s 1942 classic To Be or Not to Be with John Barrymore in mind for the lead role. To be sure, it’s easy to imagine the Barrymore of 1934’s Twentieth Century sliding easily into the role of the vain, jealous, hammy Joseph Tura, head of a Polish theater troupe. But Lubitsch never considered anyone but Jack for the role. Clearly, Lubitsch intuited that the character of Tura as written was very close to the radio persona of Jack Benny. But Lubitsch brought Jack more than a great part, script, and costar (Carole Lombard). One of the essential elements of what became known as the Lubitsch touch was his remarkable sympathy with and understanding of the talents of his actors. Many stars gave the performances of their film lives in Lubitsch pictures. Certainly Jack did. Let’s examine one scene from the film to illustrate the Lubitsch-Benny connection. It is the night of Tura’s performance as Hamlet. Jack walks out to center stage to deliver the title soliloquy. There is a long, pure Jack Benny pause that leads to a famous gag that I would cut my hands off before I spoiled here. As Jack/Tura says “To be or not to be,” a soldier in the audience (Robert Stack) gets up and makes his way out of the theater (to meet Tura’s wife, as we’ll discover). Lubitsch follows Jack’s reaction as astonishment turns to panic and anger while he tries to continue the speech. It is most likely the first great Jack Benny reaction take ever filmed, and as funny the tenth time you see it as the first. 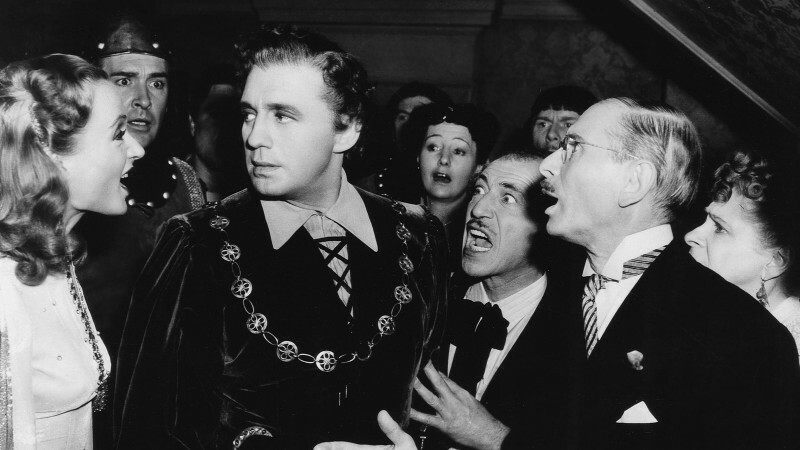 Lubitsch understands the value of a running gag—a constant element of Jack’s radio comedy—and pays the Hamlet bit off beautifully at the end of the film. Jack was grateful to Lubitsch for the rest of his life. Lubitsch also proved his love for Jack by jumping in to help his troubled 1943 film The Meanest Man in the World, reportedly directing a large part of the film without credit and making this rickety little movie a lot more entertaining than it had any right to be. After the mid-forties, Jack ended his film career, give or take a few cameos. But even his triumphant television career reflected the ups and downs of his film work. For many years of his series, he alternated between live episodes in front of an audience and single-camera shows on film, with no audience. And even with the same casts, the same writers, and absolute control, there is still a difference. The live shows are magical, but something is lost in the film shows. 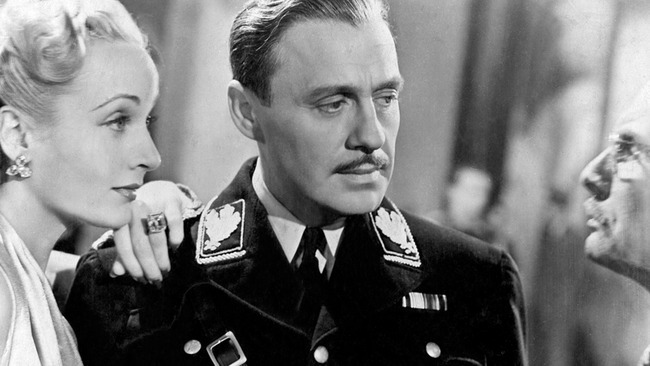 Obviously, Jack needed a responsive, sympathetic audience—whether it be a large group of anonymous people or one Ernst Lubitsch. Ah, yes. The Horn Blows at Midnight. Jack’s last starring feature was a 1945 Warner Bros. film in which he plays a band trumpeter who dreams that he is the angel Gabriel sent down to earth to blow the horn that signals the end of the world—at midnight. It was not a success. In fact, it was a commercial disaster, and it almost immediately entered The Jack Benny Program as a running gag. The Horn Blows at Midnight was derided as the worst movie ever made and became the comic symbol of the failure of Jack’s film career. In truth, it’s not the worst movie ever made—it’s not even Jack Benny’s worst movie (which isn’t to say it’s particularly good). No matter. Jack and his writers recognized that the portentous title made it sound dreadful, and its fate was sealed.